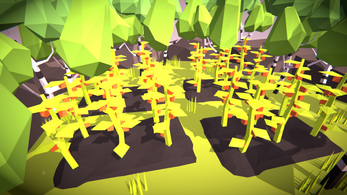 A low poly farming game. More like a tech/art demo. Done on a weekend. Download the .rar/.zip file and extract it. Find the Unity executable and open it. Close the game by pressing Alt+F4.